K had a pulmonology appointment recently and everything went very well! It was our first appointment since starting K on overnight oxygen for her central apnea AND since discovering that she needs daytime oxygen most of the time when the weather is warm (which is a lot of the year here!). K is currently having really great sats (short-hand for the % of oxygen in her blood) because of the cooler “winter” temps here, but we expect that her need for oxygen will increase again as the temperature does. Dr. J said this is strange for “normal” people. but “normal” for mito people. She also said the fact that K can be on 3/4 liter of oxygen (when healthy/more when sick) and still not be satting at 100% is also another “normal” for mito thing. Dr. J also said that if SHE was on 3/4 liter of oxygen her sats would be a 100% and never come down! 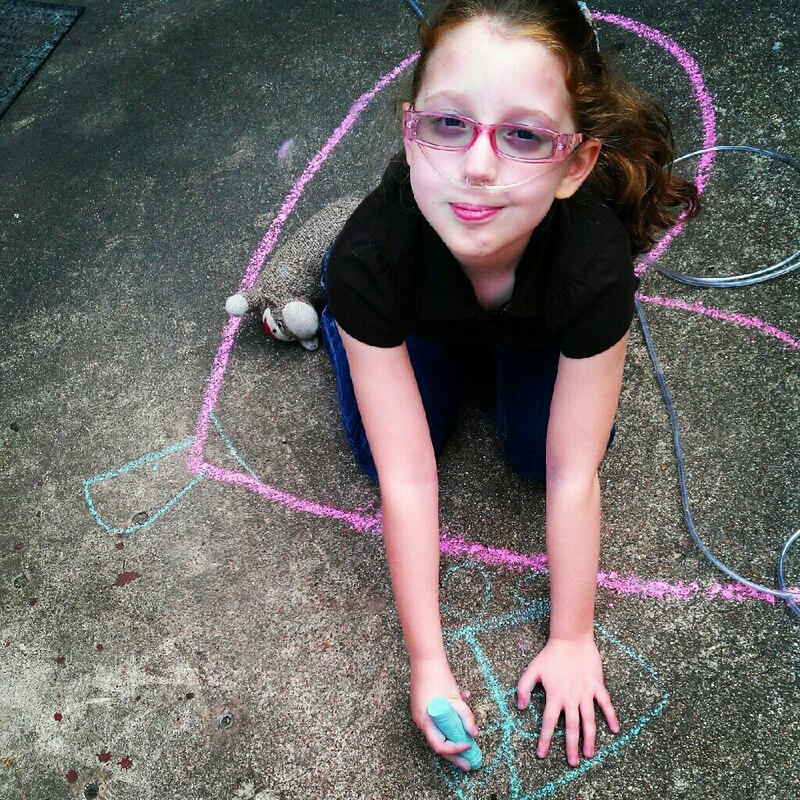 So we are chalking her weird oxygen needs up to mito for now, as her echo was normal (she may still order a bubble test in the future) and we could not get full PFTs this summer because K threw up during them because of her sensory issues (she put a re-try of that on our summer to do list). At our last appointment (during warmer weather), K’s in-clinic spirometry was wonky (one of her levels was at 69 when they should all be above 100), but this time everything looked great! I am attributing it to the weather, since all of her breathing issues seem to be better currently. Dr. J said that she wants to trial her off of Advair and on Flovent (Flovent is one of the 2 meds that make up Advair) and see how she does. Our next appointment is in the Spring and I suspect things won’t be so great at that time (due to the weather changes) and we may end up back on Advair. We shall see, though! Dr. J was also pleased to hear that K seems to be getting more restful sleep and is waking up much easier since starting overnight oxygen…and she hasn’t had any migraines either! Yay! K was just thrilled we didn’t have to get labs run this time! There was great rejoicing when Dr. J told her that. After our appointment, we went down the hall for K to do a different little breathing test that is part of a study on mito kids. They are going to hold onto her data until she has a clear genetic diagnosis, but Dr. J was curious if it would be similar to the other kids in the study. I guess we will find out next time! All in all, it was an easy and painless appointment…the best kind!